Twenty-four hours later Tomlin was announced as the Steelers' new coach. 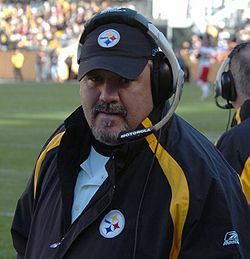 Steelers' President Art Rooney II told CBS Sports on January 23, 2007, that no formal offer was ever made to Grimm, explaining that team representatives did talk about an offer and contract numbers with both Grimm and Tomlin on January 20. Rooney explained, "We did tell Russ nothing would be final until Sunday. I feel bad if he got the wrong impression." The Tribune-Review and Prisuta refused to comment on their blunder, and Prisuta's story was discred and removed from their website.